Get ready, Stars Hollow: Lorelai and Rory are preparing a comeback! TV Line reports that Gilmore Girls is being revived at Netflix, which picked up all seven seasons of the show last year. The show will return for a limited series, to be written by the show’s creator Amy Sherman-Palladino. 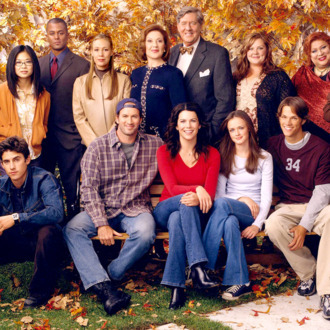 Negotiations are still ongoing, but most of the original cast — including Lauren Graham, Alexis Bledel, Kelly Bishop, and Scott Patterson — are all expected to reprise their fan-favorite roles. (Sadly, Melissa McCarthy is not thought to be returning as Sookie.) Earlier this year, the cast reunited at the ATX Television Festival in honor of the show’s 15th anniversary. The revival is expected to involve four 90-minute episodes/mini-movies, leading up to the conclusion Sherman-Palladino says she never got to write. You have our permission to start freaking out. TV Line has more details on the Gilmore Girls revival: They’re reporting that the new episodes will pick up roughly eight years following the events of the series finale and will be set in the present day. Rory’s exes will be involved, with the hope being that #TeamDean, #TeamJess, and #TeamLogan will each have their moment throughout the four new episodes if Netflix and Sherman-Palladino can get each original actor onboard.